what is teacher training like?? Teacher Training thru Yoga Flow gifted me more than I could have ever anticipated. ..We all go into a TT for our own reasons, something inside us confirms that this is the direction we need to be going - but at first, we often don't always know why. Over the weeks, you begin to realize the part of you that fell in love with the practice in the first place. That part is different for all of us. Yet it's that part in all of us that wants to be the best it can be in order to share that love with our students. With the patient and knowledgeable guidance of the YF teachers and the thoughtful layout of this TT, you really do transform. You become a teacher, not only to your students, but to yourself. You begin to realize you can't imagine your life without this practice, or these people. In just 5 short months, become a Yoga Flow and Yoga Alliance Certified teacher. Yoga Flow has one of the best reputations for helping aspiring teachers gain the knowledge to be successful, safe, and well-respected. Yoga Flow is the only studio in the Pittsburgh area that has a community class training program that allows our trainees to teach actual yoga classes for an entire year as part of their training. 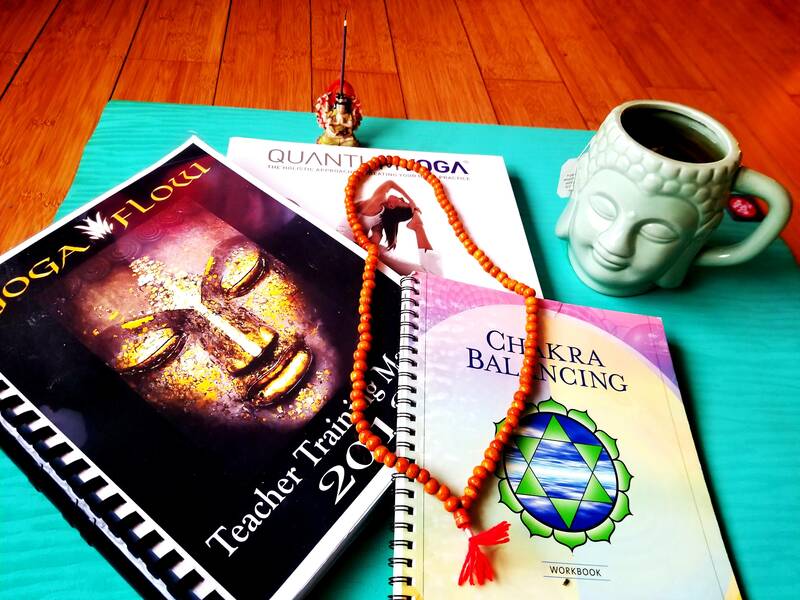 Yoga Flow Teacher Training has certified over 150 teachers in the Pittsburgh area. Our training program walks you through learning the foundation of the asanas supported by the history of yoga as well as tuning into the spiritual energy within the yoga room. Yoga Flow has a unique Ujjayi Vinyasa sequencing created by Dominique Ponko. Our program led by Dominique and co-director Michelle Planert will prepare you to design a well-balanced yoga class and help you to pursue your dream of becoming an instructor by giving you the tools to share with others what Yoga has given you. You will then be required to assist a Yoga Flow teacher for 2 classes a month. You have the option if sitting in the back of the room taking notes on the teachers cues or walking around and adjusting the students (or a little of both). Each class you assist will be counted as 2 hours. Totaling 20 hours *These hours can be completed at the Yoga Flow studio or studios most convenient to you. Each 'teacher in training' is required to take 40 Yoga Flow classes within the 5 months. This equals roughly 2 classes per week during the 5 month training. You may take as many or as little classes a week to compliment your work schedule. It is required, however, that you have all 40 classes completed before you can receive your certificate. We have noticed that the trainees with the most success practiced twice a week or more. And we suggest the more, the better. All 40 classes over the 5 months course are included in the cost of tuition. Each of the 40 classes will be counted as 2 hours. Totaling 80 hours *These hours can be completed at the Yoga Flow studio or studios most convenient to you. The training totals 200 hours of a Yoga Flow Level 1 Teacher Training. You will be certified through Yoga Flow as well as Yoga Alliance, enabling you to teach anywhere in the world. 5 months unlimited yoga included in the tuition. Teacher Trainee will be responsible for regular Yoga Flow membership after the 5 month program has ended. Yoga Flow will provide the Training Workbook. Quantum Yoga by Laura Baumann: the new expanded edition printed in Spring of 2013.